Role play is fun – get involved. 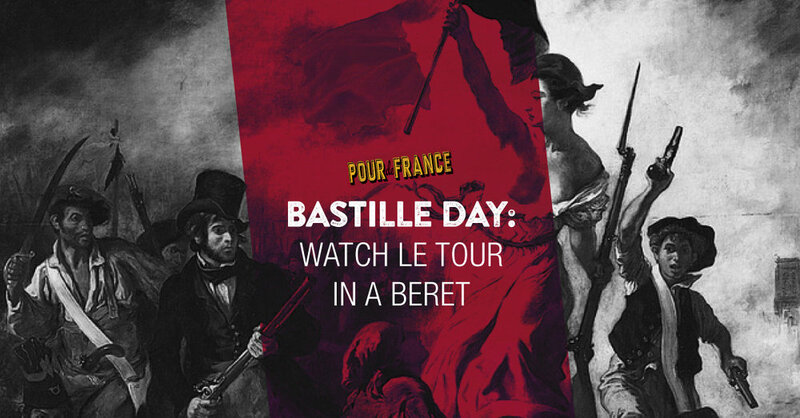 What is Bastille Day and how do we get in the mood? Firstly, a bit about Bastille Day, or, how about we say it properly... La Fête Nationale! The French people have a long, proud and vibrant history of airing their grievances via protests, marches and rallies. The French National Day is the anniversary of Storming of the Bastille on 14 July 1789, a turning point of the French Revolution, as well as the Fête de la Fédération which celebrated the unity of the French people on 14 July 1790. Skirting the border of Normandy, on Bastille Day we find ourselves in cidre, calvados country here. Get excited – today is all about the apples. A department within Normandy, on the north coast of France. Calvados, believe it or not. Because we love Calvados, and all things apple. There isn’t one – find a bottle of Calvados – treat yo self.